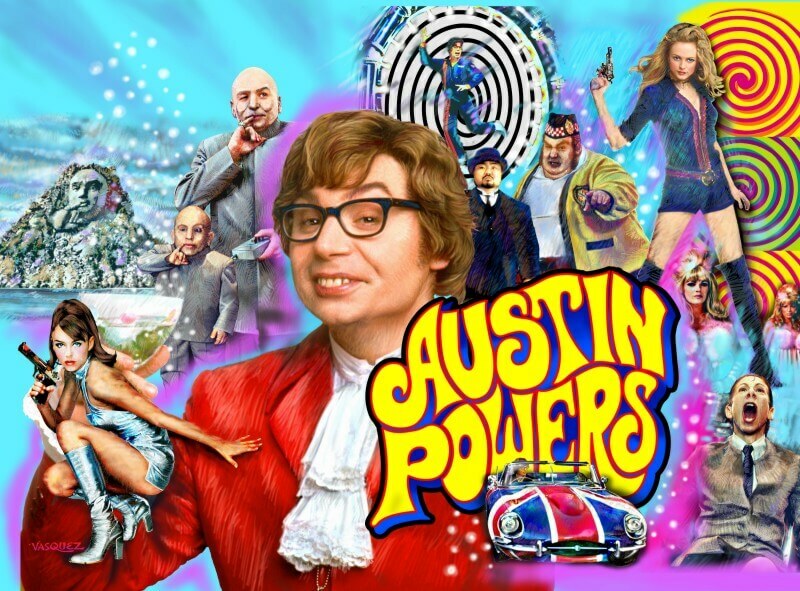 Yeah baby! 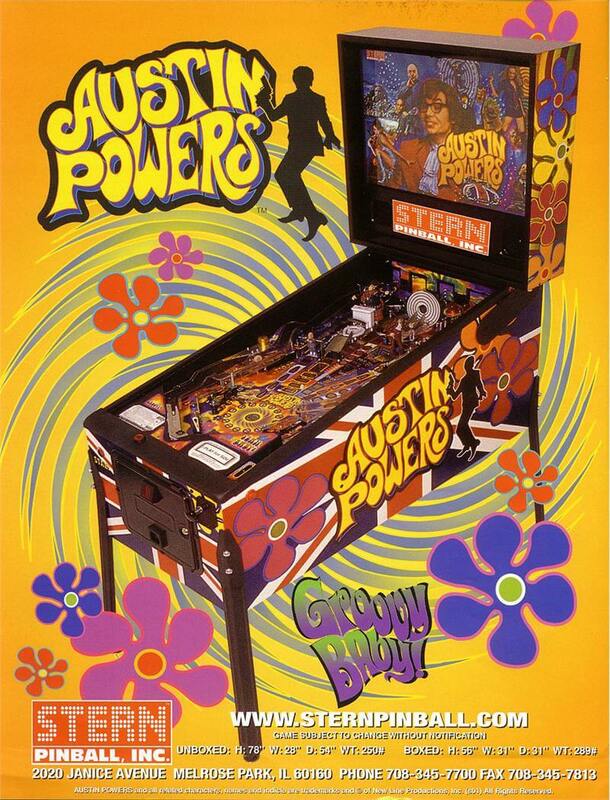 The Austin Powers pinball machine is the most shagadelic thing is happening. 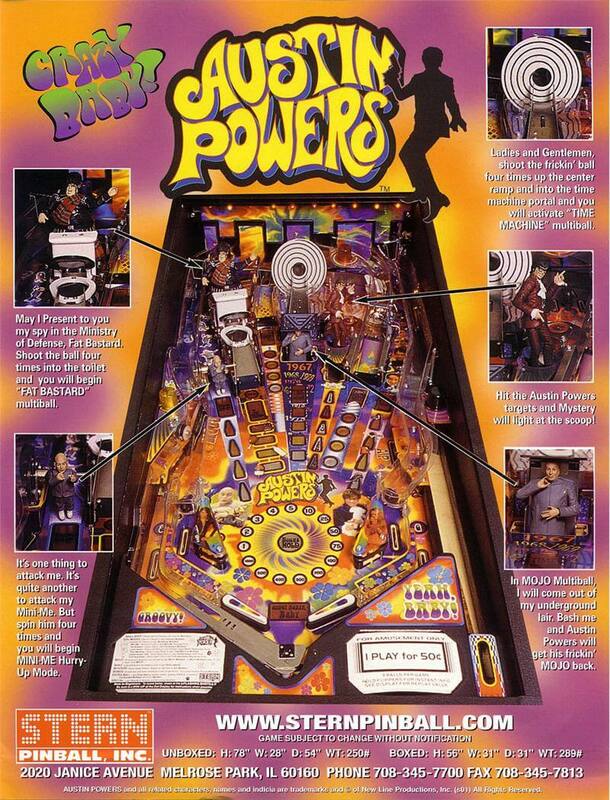 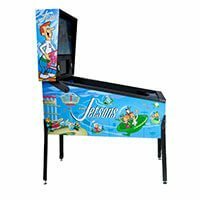 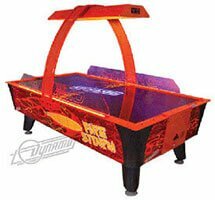 The International Man of Mystery is time-traveling once again, but this time appearing on a playfield of Stern’s newest, hippest pinball machine ever. 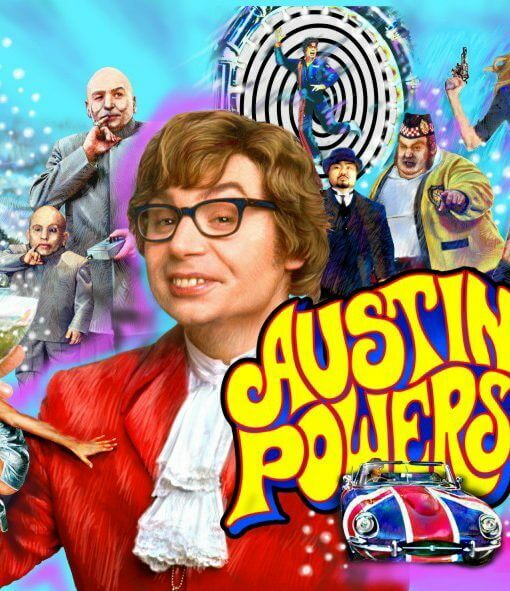 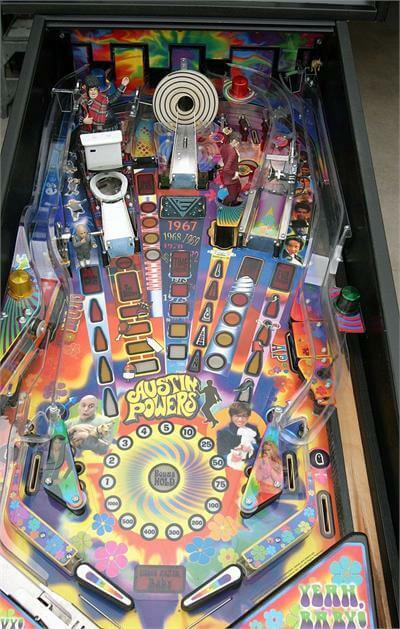 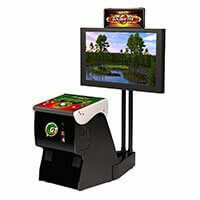 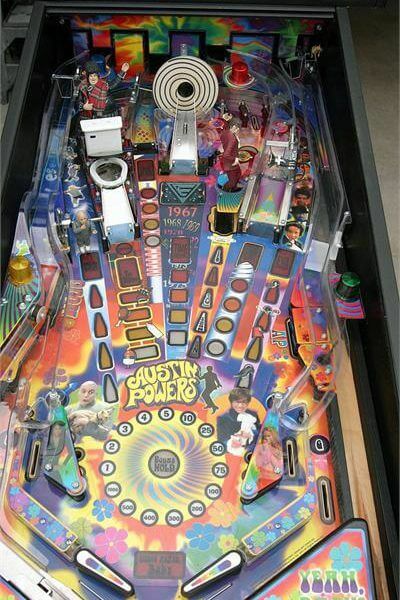 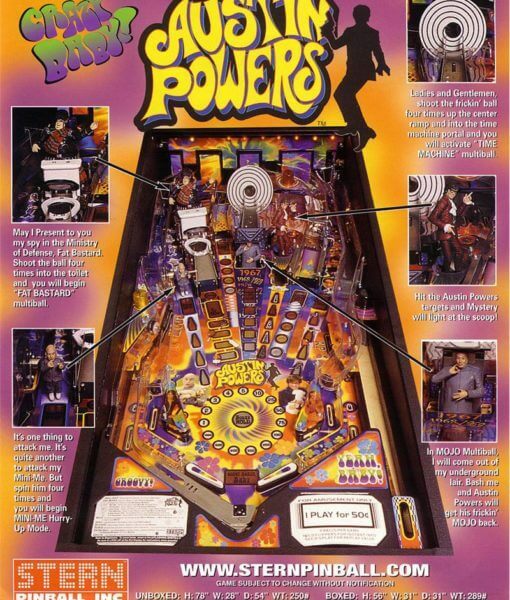 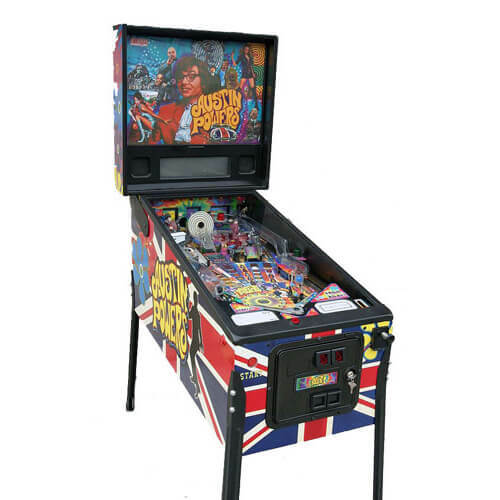 Made in the tradition of classic pinball, AUSTIN POWERS turns you on with all the shots: a spinning Mini-Me, an Austin that boogies, Dr. Evil’s hidden lair, a time machine, and a frickin’ laser beam that shoots real pinballs! 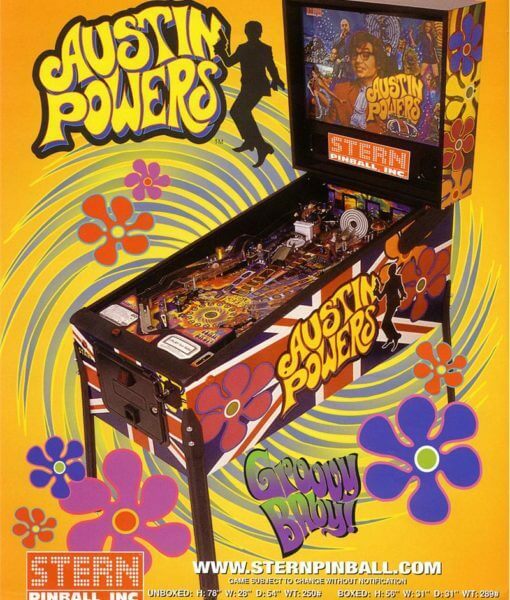 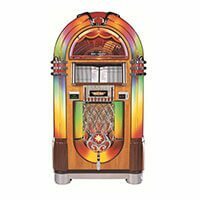 Your favorite characters even say their most groovy lines, while Austin’s theme music, “Soul Bossa Nova,” keeps you groovin’ to the silver ball.